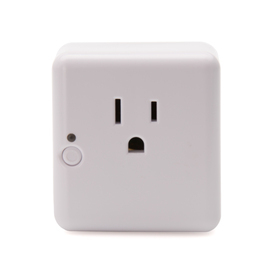 Smartthings Outlet - Zwave range? I have a few Smartthings outlets. I believe they run on Zigbee. Would they still work to extend the Zwave range? What is their range? Zigbee only extends zigbee, Z wave only extends Z wave. Start with this FAQ, and in particular, read post 11. It should help a lot. After reading that post, just scroll up and read the whole thread, there’s a lot of helpful information there. And if you want even more information after that, see the article on repeaters in the community – created wiki. As a note, the Iris outlets from Lowe’s (which are basically the same as the SmartThings outlets - same manufacturer - CentraLite) will work to extend your ZigBee and Z-Wave mesh as they have Z-Wave repeaters built into them as well. More information can be found below for pairing. I’d recommend changing them to the local SmartPower Outlet DTH instead of using the custom DTH below.